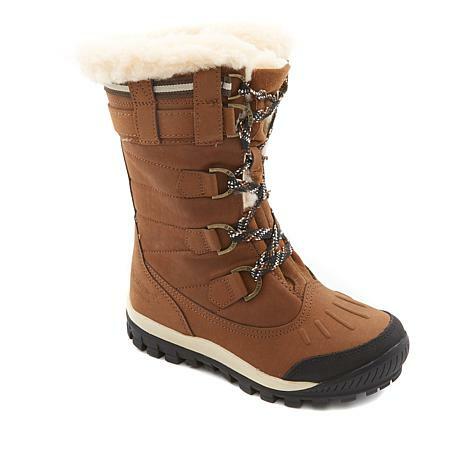 Cold-weather has met its match in this rugged boot. Waterproof to featherline super cozy inside, it provides all the comfort, durability and traction you need for winter outdoor excursions. These boot is lovely. I ordered the tan. 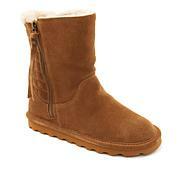 Im a bearpaw lover. This boot is very warm, comfy and deliciously pretty. Not too heavy.. Does run a bit small. If ur in a half size order up.. You need to order these today! U will love them!!!! I recently realized that I have "bearpaw" boots but no "waterproof" or "winter" boots that can withstand water, snow, slush, mud or hiking. 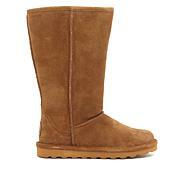 My current bearpaw collection has fashionable boots but the "Desdemona" is truly meant for the outdoors. It's durable, true to size, waterproof, fashionable, warm fur on the inside to keep my foot warm and it has a removable/ washable insole. This is now going to be my "to go to" hiking / outdoor boot. I love it. You wont be disappointed. I love the style of these Hickory boots in size 7, and they work with weather conditions between 15 and 30 only (I reside in Chicago & I typically wear anywhere between a 6 1/2 to 7). They also fit my wide feet and wide calves (I'm 5'2"), but the back heel was uncomfortable (though I did have an open sore at the time, which was not caused by the boots, so that may affect how I'm rating this). 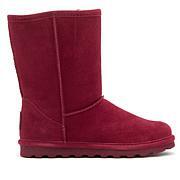 I love Bearpaw boots and own a few of them, so I'm hoping to break them in well enough for comfort. Although the boots are really stiff not allowing for flexibility in the ankle I still like them. I'd definitely wear to the snow and have gotten many compliments! I wear a 6-6 1/2, I ordered the size 6 and it fits perfectly with a thin sock. Overall pretty pleased!